Each state is different on the licensing and certification requirements that welders are required to have. Due to this, it is important to consider your specific state’s requirements to find out what is required of you to do the welding in your state. This can also provide you with more information on what the specific welder you’re looking to hire is supposed to have to work as a welder. 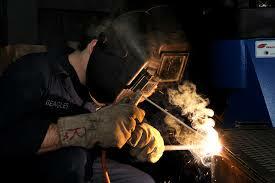 All states require that the welder has a welding certification. This is earned through a reputable school of choice, which is something to consider when becoming a welder. They should go through a program that will provide this certification and can show that they have completed the number of hours needed to be certified to do the job. Additionally, some states do not require licensing, but some welders prefer to be licensed in their state to do the welding work for a company or on their own within their own company. This can provide that they’re able to provide the high-quality welding work that is required. Each welding contractor is different on their certifications and licensure and each state has a different need for what is needed. It is important to check with your local state to find out what the minimum is and to find the most professional welding contractor working in your area. It is important to speak with the welding contractor you’re looking to hire for the job so that you can find out what their qualifications for the job are. Contractors Today can help you find more information on the welding contractors currently working in your area Give us a call or fill out our form below and we can contact you shortly regarding the welding contractors in your area.